MettleAir® filter-regulators are designed for precision and reliability. 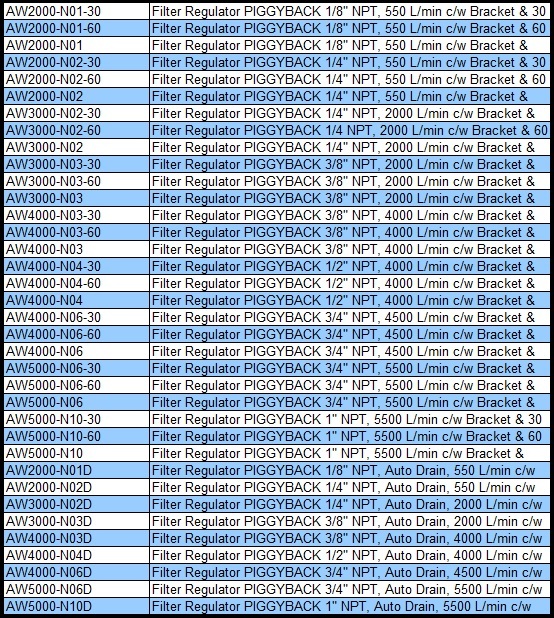 The space saving filters-regulators (piggyback style) are the best choice when it comes to protecting your pneumatic investments. All of our Automatic Drain filters are able to drain while the system is under pressure. An internal float automatically triggers the drain when the bowl becomes full. Our high precision easy to read gauges and convenient mounting options make every day operation and installation a breeze. Standard 25 Micron sintered bronze filters are easy to clean and maintain. We also have optional 5 micron disposable filter cartridges available as well. The unique modular design allows for easy upgrades and maintenance. We also offer pre-assembled three piece and two piece FRL combos for quick and easy installation.